We turn 5 next month!! It’s hard to believe that we are still going strong. When I took the risk to launch The Mudroom and threw it out into the world I had no idea it would create a spark that drew other sparks to itself, building a fire that would bring light and warmth to so many people. At that time most collaborative blogs had ceased taking outside submissions and there weren’t many places workaday, ordinary writers could pitch their posts to. I wanted The Mudroom to be that place. We started off with just a few staff writers and received submissions from others. What I have loved most is being able to give unknown writers a space to flourish. Providing a new writer with a hard-earned byline still makes me giddy. 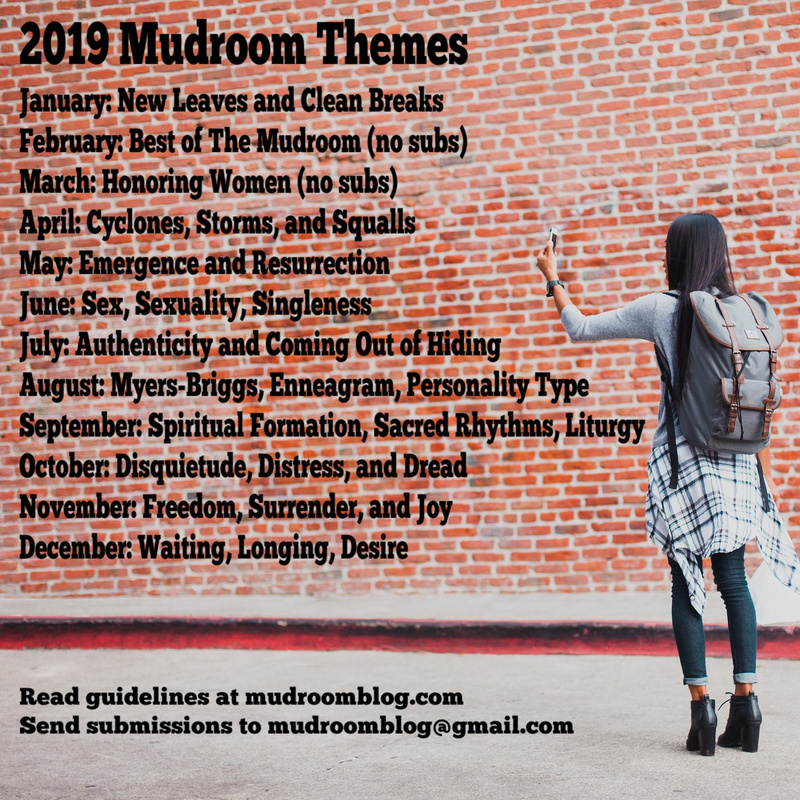 An even bigger joy is inviting that unknown writer to join our team of monthly contributors, who are the backbone of The Mudroom. We have had a challenging year administratively. Our beloved Grace Cho took a position as editorial manager at (in)courage and we miss her so much. Our own firebrand Nicole Walters moved to South Asia for non-profit work. Most recently, our intrepid editorial manager, Amanda Taylor, took leave to help her husband, Daniel, recover from a stroke. I thank you for patience with us this year, and for your continued support and encouragement. Thank you for trusting us with your heart and your words. Keep them coming. We are taking a few months to gather ourselves and discover our vision for 2019. Next month is our birthday so we’ll be curating The Best of The Mudroom from the first 4 years. In March we won’t be taking submissions so we can focus on vision casting. We will be back accepting submissions by March 15 for April with the theme Cyclones, Storms, and Squalls. Make sure you check out our guidelines before you write! 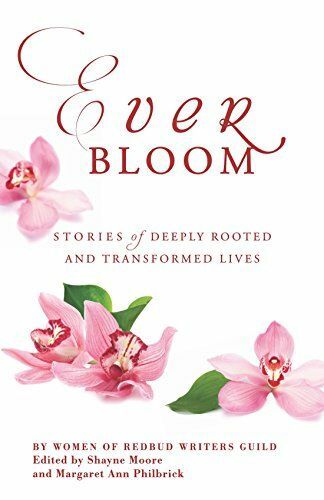 Top 10 posts of 2015 Our Favorite Posts of 2015 Reflections on the Festival of Faith & Writing The Mudroom Turns 4! 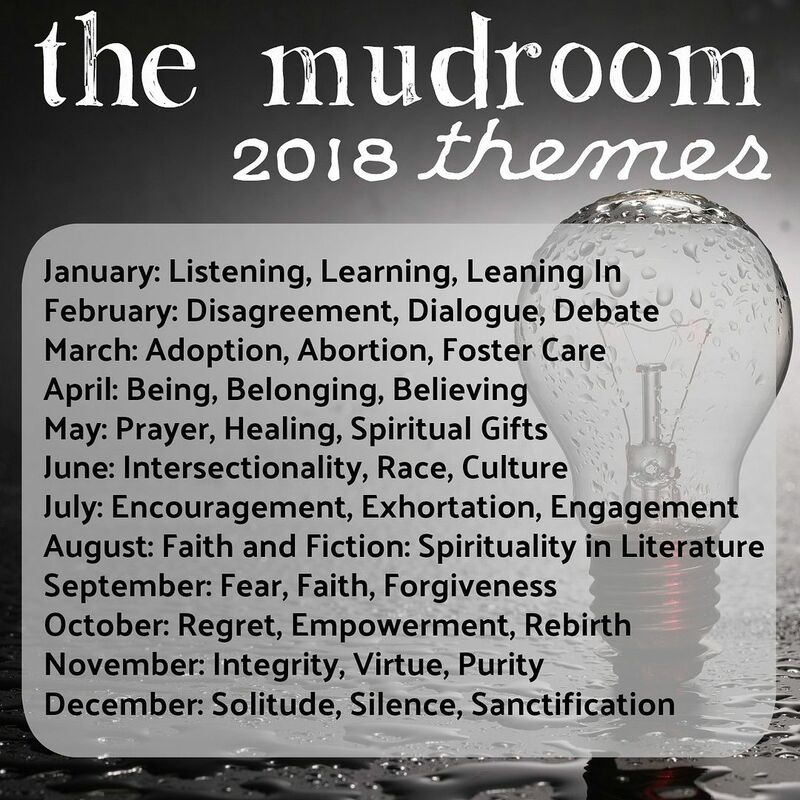 This entry was posted in Community, Faith, Intentionality and tagged Amanda Tingle Taylor, Ashley Hales, Grace P. Cho, Heather Caliri, Nicole T. Walters, submissions, Tammy Perlmutter. Bookmark the permalink.